Booking at the hotels at a special conference price is now available here. Aalborg offers a wide range of accommodation facilities including options for students. Approx 1,700 hotel rooms are within comfortable walking distance of the citycentre. 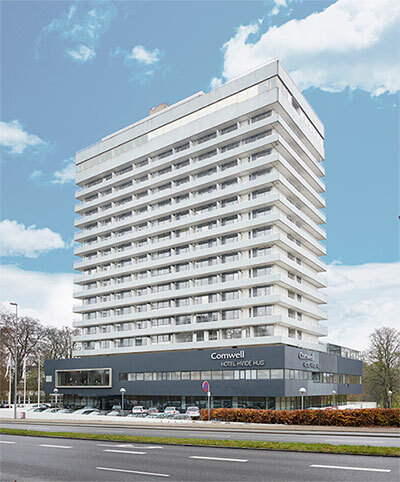 Neighboring the congress venue, you will find 2 hotels, and in general you will find a fine mix of international chain hotels and charming privately owned hotels in Aalborg. Most of the hotels have recently undergone a refurbishment offering you the very best in Scandinavian design and cosy interior. Please note, that we as local organizers have selected the most convenient and best hotels in advance for you to choose. Booking through the registration link for hotel booking or through e-mail to VisitAalborg you will benefit from special rates and, at the same time, making sure that there is plenty of opportunity to network with your colleagues outside the conference programme. It’s also worth noticing; that you will not be required to pay for hotel accommodation in advance, and that changes in the booking will even be accepted until 2 days prior to your arrival date. You can make your hotel reservation through SmartGridComm’s website. Doing this, you will benefit from the special conference rates. Comwell Hvide Hus Aalborg is located in the largest green park of Aalborg - the beautiful Kildeparken and across from another park Mølleparken. Surrounded by the scenic greenery you will stay in style and comfort during your stay in Aalborg. The hotel has 16 floors and a stunning view over the Limfjord and North Denmark’s beautiful countryside. Comwell Hvide Hus Aalborg has 198 tastefully decorated rooms, all recently refurbished with new bathroom and own balcony. Hotel Hvide Hus is located in the centre of Aalborg city and is only a short walk from the charming pedestrians’ streets which offers great shopping, cozy cafés, delightful entertainment, well-preserved buildings and modern architecture etc. 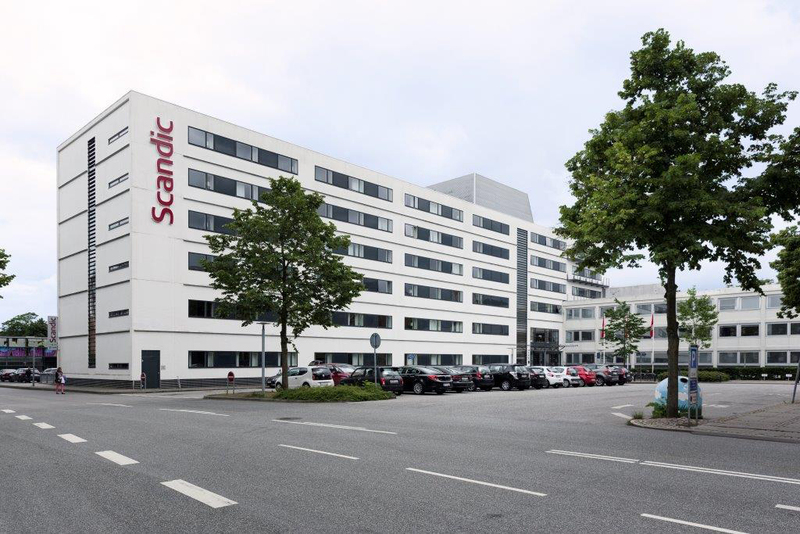 Scandic Aalborg City is designed in the best Scandinavian tradition with clean design lines and beautiful, light colors. While enjoying a location in the centre of the city, the hotel also neighbors the largest green park in Aalborg - the beautiful Kildeparken. 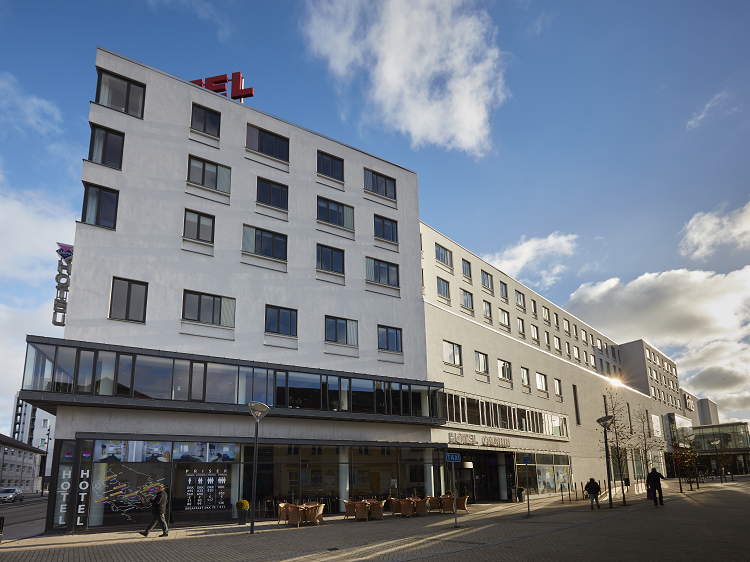 The hotel is attached to Aalborg Congress and Culture Centre and is located within easy walking distance of the train station and the bus terminal. Scandic Aalborg City is located a short walk from the charming pedestrians’ streets which offers great shopping, cozy cafés, delightful entertainment, well-preserved buildings and modern architecture etc. Situated right in the heart of the city centre, CABINN welcomes guests at this modern economy-class hotel. CABINN’s next-door neighbor is the shopping arcade Friis. The hotel has 239 rooms, all with private bath and toilet as well as phone, TV and a free wifi. Many of Aalborg’s excellent restaurants are only a 15-minute walk from the hotel, and a 5-minute walk will take you to the scenic waterfront and the three spectacular houses of culture, the Utzon Centre, Nordkraft and Musikkens Hus – all worth a visit. Please note that the euro price due to exchange rates is only an indication. Prices is per night and including VAT and breakfast.